Update: Upgraded to the AOC G2460PF 144Hz monitor as my main. It is a FreeSync monitor and I have a team green GPU, but I am in love with the 144Hz. Simply beautiful. Wanted my desk space back so I grabbed a Wali VESA mount. Brought the Ghostbusters out to protect my rig from ghosts, ghouls, and goblins. Update #2: I finally grew some bawls and after my CPU spiking over 80°C while playing some PUBG I ordered a freaking Hyper 212 EVO and a few new static pressure Thermaltake Riing case fans to replace my aging and loud SickleFlow fans. Installation of the Hyper 212 was rough and I admit that I went the lazy and most difficult route. I did not pull out the motherboard and I left the GPU installed while I installed the 212. I do not recommend doing this method of installation. It sucked. It is installed nonetheless and it is keeping my CPU temps at or below 60°C. Beautiful! The static pressure Riing fans are a dream compared to my screeching SickleFlow fans. Images show the evolution of my rig from left to right. I apologize for the poor picture quality. We're Goin' Back in Time(admit it, you sang it); I built this little ditty way back in February of 2013. I received my big fat (not really) check from Uncle Sam after doing my American duty of filing my taxes and proving to the government that I was a broke SOB for most of 2012. 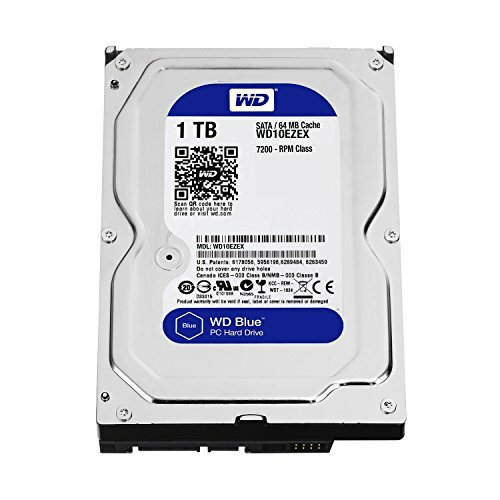 With a budget of $1000 I set out to build me a mid-range gaming PC for the first time in my life. Microcenter had a deal on the Core i5-3570K, so I opted to build around that. I chose an ASUS board(pictured in image 1 & 2) originally to pair with my mighty 3570K but 'twas a dud. 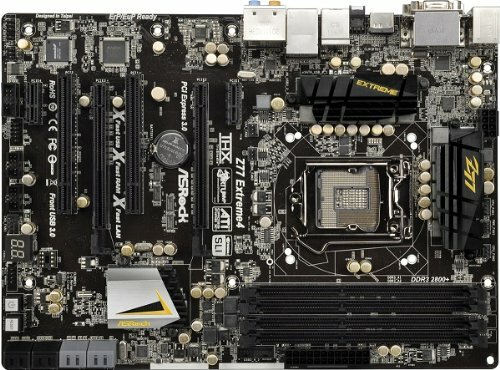 So I switched to ASRock Z77 Extreme4 and haven't looked back (ASUS does make quality boards from what I understand though so no knock on them). 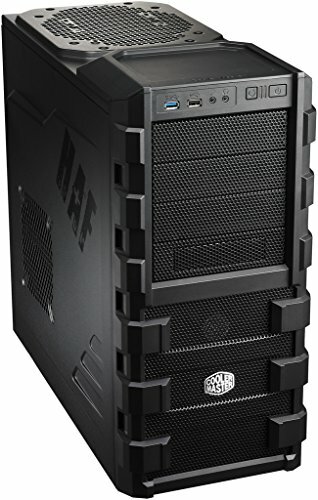 After watching a video review of the Cooler Master HAF912 by LinusTechTips, I decided that was the ATX mid-tower case for me! I ordered the windowed panel and the USB 3.0 header for the front of the case directly from CM to give my case a little more pizazz! Now, the GPU I wish I would have done more research on. The GTX 660 was a good card for me at the time but I really wish I would have spent a little more scratch and got a beefier card to last me a little longer. Since I was playing mostly WoW and other titles that weren't very demanding at the time, I opted to cheap out and get the least expensive "current series" card I could. I later regretted that decision when I could not play all the pretty games my friends were playing. The RAM I honestly thought that I would eventually OC the CPU one day and wanted to make sure I had headroom for either an air cooler or an AIO. Welp, I never OC'd the bad boy (I know, I know). Also, being the noob that I am I had it running at 1333 instead of 1600 for the longest time. The PSU was another cheap-skate move. The first PSU I picked up turned out to be a paperweight. Exchanged it for another one and boop we've got a running machine! I wanted some brand consistency throughout the case so I ordered a few Cooler Master 120mm SickleFlows (side panel intake and rear exhaust) and 200mm MegaFlows (front intake and top exhaust). Slapped some case badges on, tossed a 1TB WD in there, ordered a fancy new 24" ASUS monitor, and called it a day! To the Future! ; Now, little has changed since the initial build of my beloved rig. I ran to Microcenter and nabbed the Corsair SSD about a year after the build to have a quick boot drive. I have also since added the AOC IPS monitor as the main source of visual pleasure of killing things and scoring goals with an RC car. The CM Devastator combo was added just a few months ago and most recently I decided to get myself back into the current gen game by convincing my wife that I "needed" a EVGA GTX 1060 6GB SSC. The plan is to change up the home for the guts and transplant them into a Phanteks Eclipse P400S to once and for all move away from having an optical drive and a side panel mounted fan with a grill. I will be adding a Corsair H100i v2 liquid cooler to finally overclock my unlocked CPU past the stock 3.4GHz (I know, I know - get off my back already!). 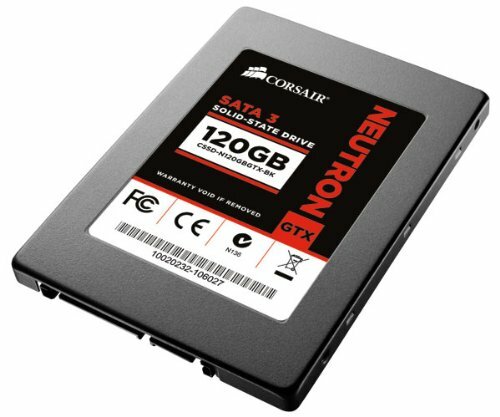 A 500GB or more SSD to store my games. And last but not least, an EVGA SuperNOVA 650W 80+ Gold PSU to not only make my system a bit more efficient, but also get rid of those awful ketchup and mustard cables. 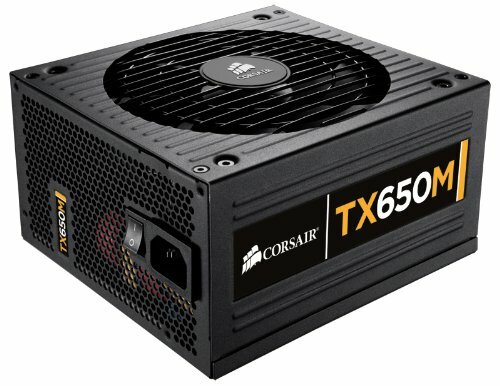 I also want to move away from the LED case fans and throw in some regular ol' get-the-job-done fans that are not blingy. Because I'm a boring *******. From what I understand, the P400S comes with an LED strip that syncs up with the LED on the front of the case. That will be enough to illuminate the guts. She may not be pretty or powerful but she gets the job done for what my needs/wants are at the moment. I want to upgrade my monitors for sure. Noticing some tearing in some titles. Maybe in 6 months to a year I'll throw in a GTX 1070 or 1080. Who knows, Morty! All I know is I NEED that szechuan sauce, Morty! Been kicking since beginning of 2013 for me. It has treated me well even though I'm only running a stock cooler. That seems like CPU abuse, right? Great board. It's not pretty but it's pretty awesome! Plenty of features that are practical. I'm a fan of ASRock boards. 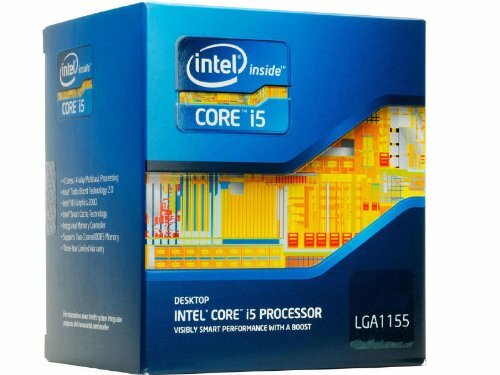 A low profile 16GB kit. Not flashy, just awesome! Pretty quick little thing. OS boots in a heartbeat. Not even 50% full yet. Performs great. Air flow through this case is great. I wanted an inexpensive case that looked good and was very practical. This case checked all the boxes. For an "enthusiast" PSU the cables sure are an eyesore. Glossy surround that is scratched to high heaven after owning for a few years. Dead pixel. Only 60Hz. It has been reliable though and it easily mounted to my VESA mount. Oh my word! What they say about 144Hz is all true! Once you make the switch to 144Hz or higher, you will never wanna go back. I have this mounted on a VESA mount along side my 60Hz Asus and the difference is very clear. 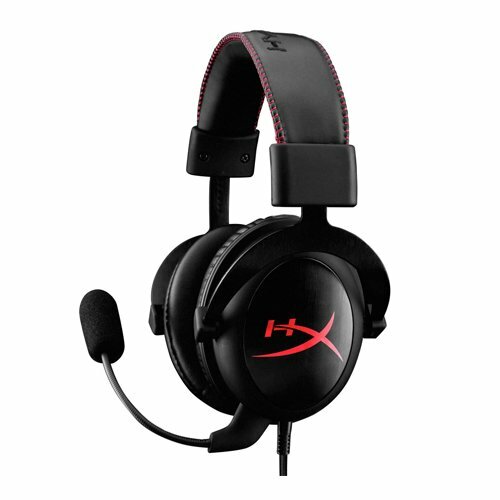 So much so that I absolutely need to get a companion to replace the lowly 60Hz guy. 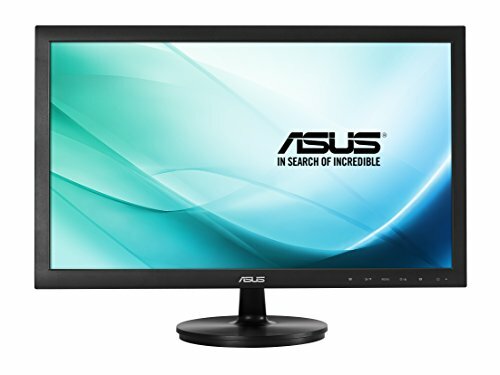 Even if you have a team green GPU and you're looking for a budget 144Hz monitor - look no further. Tell that to Ray Stantz of the Ghostbusters. how does the chair support ou, been looking for one +! It does the trick. I've fallen asleep in it a few times. It's not great for long gaming sessions as the cushion becomes uncomfortable after a few hours of sitting. The armrests are not adjustable either, so I had to either remove the armrests or remove the drawers on my desk for it to fit. I opted to remove the drawers. The back rest is very comfortable and it has a really great lumbar support. It's a great chair IMO.